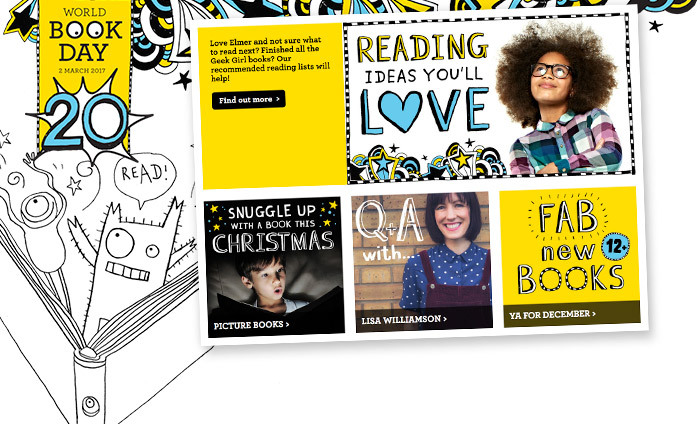 We are proud to announce the launch of the newly styled World Book Day website. Watch this space, leading up the to the big day on the 2nd March there will be lots of exciting things coming soon! Designed to appeal to all partners, schools, kids, parents, libraries and book sellers. The main drive of World Book Day is to promote the fun of reading and make books accessible to all. Read more about the World Book Day website project.